A Word from the Guise: I don’t know if this film will even be eligible for Oscars; it’s a Netflix original, and I know they have stipulations with the release of the film. But I would think that, as long as they met those stipulations, it wouldn’t matter if the film was made by Netflix. It would be the first Netflix original movie to be nominated for an Oscar, but if there’s any film that deserves it, it’s this one. Idris Elba comes at you with unyielding ferocity. 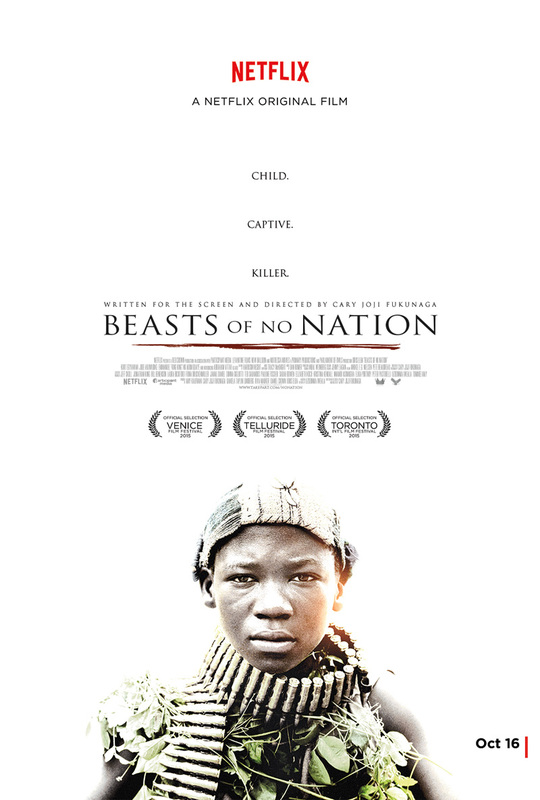 And I’ve never seen any child actor give such a gritty and compelling performance as Abraham Attah. There are just no words for how incredible this film is. You have to watch it.